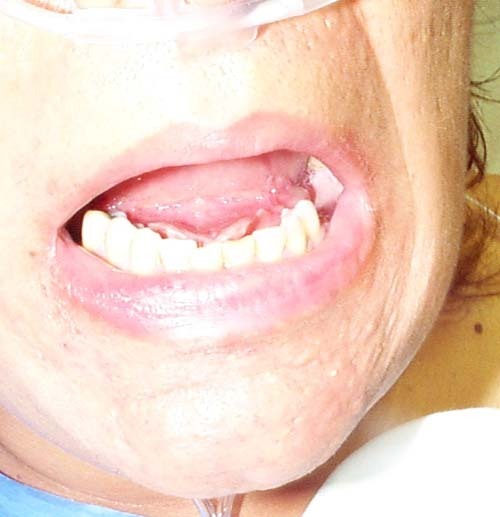 A 62-year-old man presents to the ambulatory area of the emergency department complaining of sore throat, fever, and chills. He has history of type 2 diabetes mellitus, hypertension, and obesity. He was seen by the general practitioner (GP) 2 days prior and was prescribed thymol gargle and paracetamol. Further history reveals progressive difficulty and pain in swallowing, decrease in appetite, and worsening sore throat since the GP visit two days ago. On physical examination, he is alert, has a temperature of 39.1C, heart rate of 112 per minute, blood pressure of 136/74mmHg, respiratory rate of 18 per minute and oxygen saturation of 98% on room air. He speaks with a muffled voice and has drooling of saliva. There are no obvious findings in the oropharynx and no cervical lymphadenopathy. The rest of the physical examination is unremarkable. Every patient who presents to the ED will receive initial bedside evaluation (ABC…), and vital signs check. Depending on the history and general look of the patient, our first priority is to evaluate some symptoms and signs of impending airway obstruction. This evaluation can be done in the triage or inside the ED. If there are findings, the patient should be triaged to high acuity area. Airway equipment and monitoring devices should be placed to the patient. Depending on the patient’s initial evaluation, any abnormality found in ABC evaluation should be treated immediately. However, suspicion of epiglottitis may change some management strategies such as involving airway specialists earlier. Have a high index of suspicion for epiglottitis in patients reattending ED for worsening sore throat. Severe sore throat with odynophagia, high fever, muffled voice (“hot potato voice”) and drooling are common clinical features of epiglottitis. Patients with impending airway compromise would refuse to lie down for examination. Suspect epiglottitis if the severity of sore throat is out of proportion to findings in the oropharyngeal examination. Patients with croup have a “barking” cough and are generally comfortable in the supine position. Typical findings of epiglottitis with enlarged epiglottis and aryepiglottic folds. Prepare for laryngoscopic visualization using a flexible nasolaryngoscopy (gold standard). Diagnostic laboratory investigations (complete blood count and blood culture) should not be performed in patients where suspicion of epiglottitis is high until the airway is secured. Other options such as Racemic epinephrine, eta-agonists, and corticosteroids have not been shown to be beneficial in epiglottitis treatment. 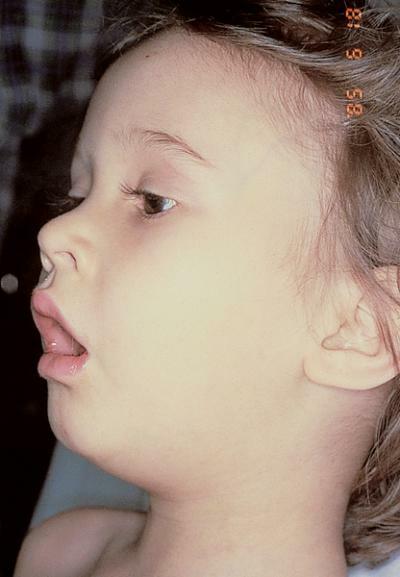 Epiglottitis used to be more common in children with incomplete or lack of Hib immunization. However, the adult to child ratio has increased since the turn of the century. Intubated patients or those who require very close monitoring should be admitted to the surgical intensive care unit or high dependency unit. Shah RK, Stocks C. Epiglottitis in the United States: national trends, variances, prognosis, and management. Laryngoscope. 2010;120:1256–1262. Guldfred LA, Lyhne D, Becker BC. 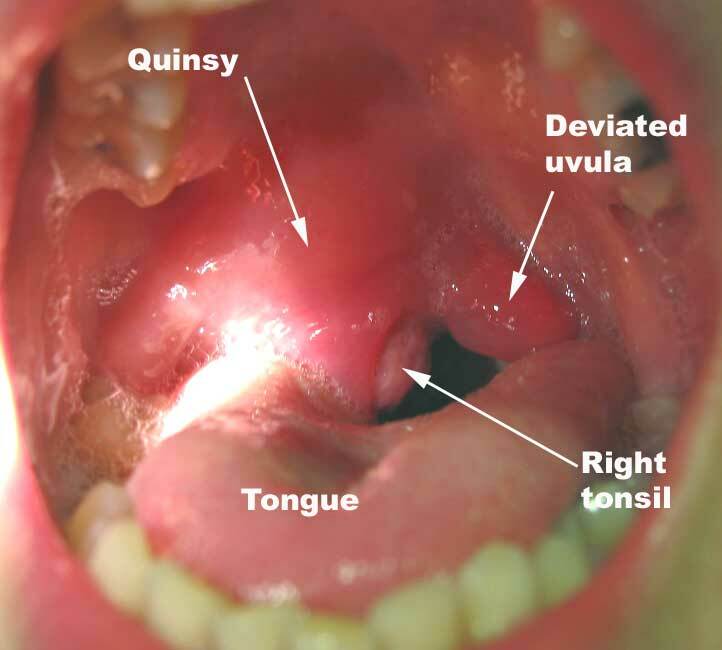 Acute epiglottitis: epidemiology, clinical presentation, management and outcome. J Laryngol Otol. 2008;122(8):818-23. Ward MA. Emergency department management of acute respiratory infections. Semin Respir Infect 2002; 17:65. McEwan J, Giridharan W, Clarke RW, Shears P. Paediatric acute epiglottitis: not a disappearing entity. Int J Pediatr Otorhinolaryngol 2003; 67:317.